If anything, King Lear is a warning not to have more than one child. It will lead to sibling rivalry, betrayal, and death. Okay, maybe that is an exaggeration. Fortunately this extreme scenario is the exception rather than the norm, and while tragic provides us all with some intense morbid entertainment. I studied Shakespeare's King Lear when I was sixteen, and was fascinated by two characters in particular: Goneril and Regan. They had me captivated right from the start, and I enjoyed watching different actors' portrayal of these two rival siblings. On the surface it is all pleasantries, but beneath that is greed and a yearning for power. While these two characters may have been cruel, at least they were smart. Their innocent little sister Cordelia was a bit daft, and too honest for her own good. When their ageing father asks how much each of them love him, she is less than doting in her words. This leads the egotistical King Lear to exile her, and split all his land between his other two scheming daughters. Upon later realising his folly, King Lear descends into madness, and death looms over entire royal family. 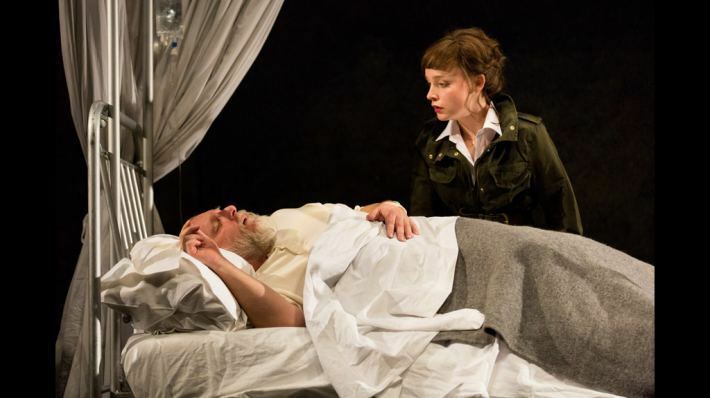 A modern version of King Lear is currently playing at the National Theatre in South Bank. I was directed by Sam Mendes, and stars Simon Russell Beale. Current tickets are all sold out, but a new batch for between 11th April - 28th May will be available from the 14th February. Tickets cost between £15 - £50, and there will also be several talks discussing each character in detail.